March snowfall is so unusual for us. Normally it's one or two days of snow in December or January, if we're lucky, that lasts for a day or two...that's it!.... But Tuesday morning we woke to a blanket of the fluffy white stuff covering everything. 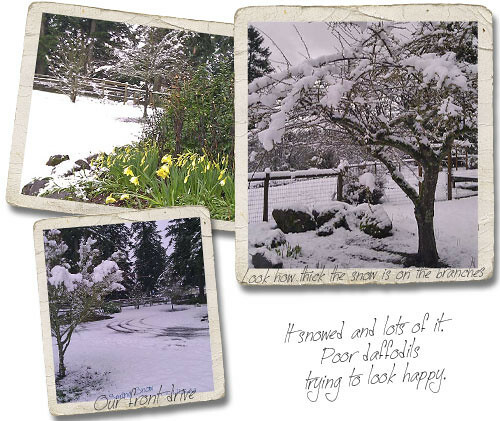 Here is how our yard looked for one brief 24 hour period. We felt so sorry for the sad little daffodils falling over from the winter weather that we just had to bring them inside to enjoy. Then it was too irresistible not to take a few photos.